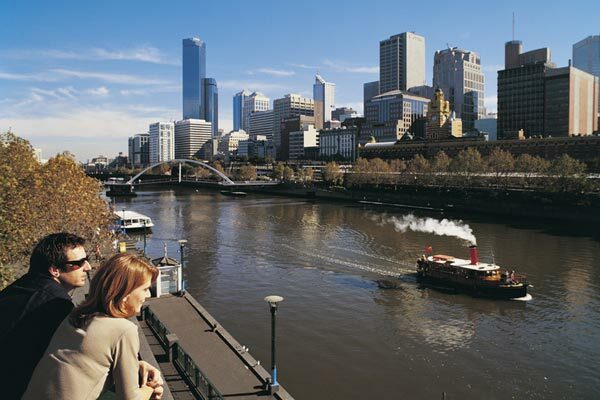 Melbourne with its approximately 3 million inhabitants is Australia’s second largest city and, many would claim, its most cosmopolitan one. While white Australians of English and Irish origin form the bulk of the population, among the most noticeable minorities one would certainly have to include Greeks, Italians and, since relatively recent times, Vietnamese. The main wave of Latvian immigration into Melbourne occurred in 1947-1952, at the very beginning of Australia’s ambitious post-World War II immigration program. Those Latvians were drawn from among a multitude of refugees from East European communism, dwelling since war’s end in Displaced Persons’ camps in the Western occupation zones of Germany, in Austria and in Denmark. The Australian Federal Government’s desire was to beef up Australia’s labour forcewhere at the time there were many unfilled vacancies, especially in the manual labour area. The refugees were looking for a country to go to because of their unwillingness to return, for the time being, to their homeland because it was now dominated by a foreign power, the Soviet Union. It is estimated that in the 1947-1952 period about 26,000 Latvians came to Australia, with at least one quarter of those ultimately settling in Melbourne. Before this period there were only about 200 Latvians living in the whole of Australia, and only a handful of them lived in Melbourne. In the 1950s Melbourne became the third largest Latvian settlement in what was then known as the Free World, after Toronto and New York. An active social and community life developed. Although assimilation during the intervening fifty years (largely brought about by ethnically mixed marriages and by many Latvians’ preference not to participate in community activities) has certainly taken its toll, many of the structures developed around the middle of the 20th century still exist, though the actual level of activity within most of them has declined considerably. Most secular activities are centred at the Latvian House at 3 Dickens St., Elwood, and at the Latvian Relief Society’s “Daugavas Vanagi” quarters at 87 Chetwynd St., North Melbourne. The Latvian House is run by a cooperative committee of the Melbourne Latvian Association, founded in 1949. Both Daugavas Vanagi and the Melbourne Latvian Association have been the backbone of Melbourne Latvian cultural activity and many organisations began their activities under their wing. The cultural activity of the Latvians in the decades following their arrival in Melbourne was quite astounding. Numerous organisations with diverse interests flourished in the 1950s, ‘60s and ‘70s and are still relatively active today: academic organisations, choirs, theatre troupes, schools, folk dancing ensembles, sports associations, scout and guide groups, ski clubs, an arts and crafts federation, various musical ensembles, a press society and many others. One part of the Latvian House is particularly worthy of mention—the Latvian Library on the second floor. It is the biggest library that houses Latvian books outside Latvia, with a grand total of 17,000 volumes. Its goal has been to collect all Latvian publications published outside Latvia as well as all those publications that mention Latvia and the Latvians. For 50 years the main person behind this mammoth task of collating and cataloging was Lilija Dunsdorfa with a long list of diligent helpers. Two Latvian Evangelical Lutheran church congregations are found in Melbourne, the larger of them, the Church of the Holy Cross, owning its own church building at 40 Warrigal Road, Surrey Hills. Over the past 50 years, the congregation has been a great supporter of Latvian social activity, particularly that of the Latvian youth, even going as far as purchasing a property, Sprīdīši, in Daylesford approximately 100 km outside Melbourne, where annual summer camps were held for Latvian children for 25 years before the property was sold in the late 1980s. The Rev. Dean Arnolds Grosbachs was the minister of this congregation for 36 years, while the current shepherd, Pastor Aldis Elberts, has been at the helm since 1987. The other active Latvian congregation is the First Latvian Ev. Lutheran Congregation in Melbourne, with services conducted by Deacon Māra Saulīte. This congregation recently merged with the Melbourne Latvian Ev. Lutheran Congregation which was led by the Rev. Dr. Elmārs Kociņš before his death a few years ago. Services are conducted in the German Trinity Church in Parliament Place, Melbourne. A Latvian Roman Catholic Congregation operated until mid-2000 when it had to suspend regular Masses because of the advanced age and ill health of its priest. The Latvian young are schooled on Saturday afternoons throughout the year at the Ethnic School “Daugava” at 51 Brighton Road, Elwood. The principal of the school is Ivete Lainis. The school is proud to still have an average of 50 pupils attending, a number that has remained constant for the past few years. The Latvian language and the rudiments of Latvian culture can be studied by students of any nationality of secondary school age and adults on the same premises on Saturday mornings, as part of the Victorian Education Department’s School of Modern Languages program. For those who are interested in furthering their studies of the Latvian language it is also possible to study Latvian as a single tertiary-level cross-institutional subject of the Flinders University of South Australia Bachelors Degree Program. The Melbourne Latvian community also caters for its youngest members: pre-school activities take place on Tuesday mornings in the Church of the Holy Cross hall where currently approximately 30 young Latvian children play and learn together. A very important role in the educating of Latvian youth in Melbourne has been played by the scout and guide movement. The Riga 102nd Scout Group, currently led by Arnis Vējiņš and Riga 1st Guide Group, led by Rasma Celms, have taught invaluable life skills in Latvian to dozens of children on a regular basis throughout the year in the form of organised activities as well as camps conducted in various locations, including the Scout and Guide country property, purchased in 1973 and located just outside Kilmore, approximately 80 km from Melbourne. Of cultural groups, the most prominent are the Australian Latvian Theatre company, currently staging at least two plays a year, and the mixed choir Rota, giving an annual concert of its own and adorning with its singing many a festive occasion. A youth choir, Daina, also exists, though suffering from a somewhat fluctuating membership. This choir, however, has the remarkable ability to muster an impressive number of singers with good singing voices when a major Latvian event is about to take place in Melbourne and then manages to wow the audience with the quality of its singing. Folk dancing is another activity favoured by the young. In their heyday, the three folk dancing groups Daugavieši-Sakta, Sprīdītis and Ritenītis had up to 50 members. Currently, two of these groups—Sprīdītis and Ritenītis—still are active. A positive event in mid-2004 was the founding of a new folk dance group, Piektais ritenis, which is meant for the 30- and 40-year-olds who are too young to dance in Sprīditis and too old for Ritenītis. The group’s debut came during the 50th Australian Latvian Arts Festival in Melbourne in December 2004. 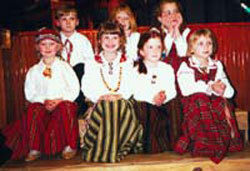 The group still rehearses weekly and performs at Melbourne Latvian events. With many of the first generation arrivals now moving toward an advanced age, an important development of the 1980s was the founding of a Latvian Retirement Village at 60 Fraser Crescent, Wantirna South 3152. The retirement village is constantly expanding with more and more Latvians choosing to spend their later years in close proximity to their countrymen. For those who have any consular enquiries regarding travel to and from Latvia from Australia, the Latvian Consulate-General (the Honorary Consul-General being Jānis Dēliņš) at 28 Longstaff St., East Ivanhoe, can be suggested as a first point of contact in Melbourne. A Melbourne city-based Latvian commercial group is the Latvian Australian Credit Cooperative Society at Level 8, 313 Little Collins St. The director of the credit union is Pēteris Delvers. A shop selling Latvian crafts and books existed for many years at 94 Elizabeth St. but it recently closed down. A Latvian newspaper, Austrālijas Latvietis, an eight-page weekly with a readership throughout Australia and a circulation of 800, is published by Latvian Publishing Pty. Ltd., P.O. Box 1320, Box Hill, VIC 3128. The current editor is Brigita Liepiņa. Emīls Dēliņš was the editor for more than 50 years, followed by Ēvalds Paeglis. Broadcasts in the Latvian language are heard on Melbourne’s 3ZZZ Ethnic Community radio station (92.3 MHz FM) from 9-10 a.m. Thursdays and on the multicultural Special Broadcasting Service (93.1 MHz FM) from 4-5 p.m.Wednesdays and from 5-6 pm. Saturdays. One annual event that the Melbourne Latvian community has been actively involved in is the annual Cultural Festival hosted alternately by the capital cities of each state. In recent years the three larger Latvian communities—Melbourne, Sydney and Adelaide—host the festival every second year. Whenever it is Melbourne’s turn to host this major Australian Latvian event the community truly rallies and puts together a quality program (with the participation of Latvians from other cities). The last, 50th Latvian Arts Festival, was held in Melbourne in 2004. From this brief overview one can sense that the Melbourne Latvian community in its prime was a most active community. In a study conducted by Biruta Flood and Antra Kulniece in 1982-83, published in Archīvs, the Melbourne Latvian community was the most active in Australia in terms of frequency of events and third in rank among all émigré Latvian communities, after Toronto and New York. And even now, although the members of the community are strongly advancing in age and with minimal new blood taking the reins from the older generation, the community is still quite active and can still draw in a substantial crowd for the major functions and events. Some of the youngest members of the Melbourne Latvian Saturday School “Daugava” pose for a photographer. This is an excellent way for gaining a current view of what is available on the Latvian scene. I have Latvian origins and had lost touch with what has been around. What was also helpful was the inclusion of changes over time, rather than just what is around now. It’s helped me reorientate and later get back in touch with some of what is around. Thank you for the excellent information. My parents are Latvian and I live in Melbourne. Is there anywhere that we can buy Latvian Arts and crafts and jewellery in Melbourne? Simone, there was a Latvian Arts and Crafts shop on Elizabeth Street in the centre of town for years but this shop closed down about 5 years ago unfortunately. Try contacting the Daugavas Vanagi House at 87 Chetwynd St North Melbourne. I believe there is an Arts/Crafts stall held there once a month (or was recently-not sure if it still exists). Contact Anita Apinis-Herman AbstractBus@bigpond.com. If you want to buy Latvian Jewellery you need to see Maris Purens in Surrey Hills. I am a year 12 history student in Melbourne and I studying the topic and writing a major essay on “The significant influences on the creation, preservation and development of a distinctive Latvian culture in Austalia between 1949-1959′. This is particularly important to me as it is also about my late father’s family, my grandparents Arnolds and Velta Melkus. I am wanting information, books, oral history, photos, documents about the development of Latvian culture in Australia in the 1950’s.There is a book “Latvians in Australia” by A Putnins (1981) that I have read about.I would like to find a copy if possible. I have a read about the Latvian Libary at Latvian House. Can you tell me who to contact please?? and also any other suggestions as to who to contact and have discussions with. This would be much appreciated. Anna, I suggest you contact Olga Silins to borrow a copy of the book you’re after from the Latvian Library. Her phone number is 98745802. Your best bet is to scour the Latvian library as it has oodles of books on Latvian emigre history. Otherwise I can suggest you contact Eva Brenners who is the head of the Latvian House in Melbourne. She could point you in the right direction: Ph. 9898 8676. Good luck! hi I’m wondering if there still is a Latvian jeweller in Sydney? Can someone help? Thanks. Ivars Birze is a Latvijan jeweller working out of a premises in the IOOF buiding on (I think) Elizabeth St Sydney. Ph: 02 9264 3867 was the last contact number I had for him, although I have not spoken with him for a couple of years. He has made us various rings (traditional) and made our wedding rings to order with acient Latvijan symbols. Quality, workmanship and service were great and he posted our stuff from Sydney to Broome WA for us too. Give him a try. There seems to be some difficulty in finding Latvian arts and crafts here in Australia. I have read with interest, the enquiries from individuals made on a regular basis for such goods. I am hoping to have a large selection of Latvian treasures… arts and crafts, books and other items of interest to offer for purchase. I would be happy to spread some Latvian cheer in the wider community. Also, I would like to encourage others to be interested in the very old, yet very beautiful traditions and culture of Latvia. What do you think? can you please tell me if there is anyone who makes latvian jewellery in adelaide and where can i find them. it would be much appreciated. Please help me find Maris Purens in surrey hills, I want to buy some jewellery. Does anyone know the phone number or address. I live in Mill Park Vic 3082 or is there anyone else. I am also looking to purchase Latvian Jewellery in Melbourne – can anyone please advise me of a shop/store or if anyone makes these from home? I am half estonian half latvian and just starting to look for information regarding my latvian roots. How can I finf out, if anybody with the surname Burkevich ever migrated to Austaralia during/after 2nd world war?? Burkevich familiy is the family of the mother of my grandmother, Elisabeth Burkevich. Try the Adelaide Latvian House “Talava” at 34-36 Rose Terrace Wayville. I’m fairly sure there’s still a Latvian shop there. Eleonora, I hope that you have now asked your question about the Burkevich family of the National Archives of Australia. They have offices in all capital cities or you could e-mail to ref@naa.gov.au. Give as much information as you can, like your grandmother’s birthdate and place of birth. Eleonora, the Latvian spelling of Burkevich is Burkevics. There are 8 telephone directory entries (Burkevics) in Australia – try http://www.teldir.com. Great Community Guide for Melbourne. The name of the Latvian Catholic priest you spoke of was a Jesuit, Father Stanislaus Gaidelis, a wonderful man. On first arriving in Sydney he worked with the lithuanians, esp youth. Fr Nikademas Serzans (spelling?) also worked in the Latvian Catholic community. Ballarat and Western Victoria I think, maybe Melbourne. I am looking for children of Arvids Moris (Philip Moriss) Who immigrated from Latvia after the war. I am married to his son Martin and know he has 2 other sons and a daughter but recently read a post in live Journal/geaneology that leads me to believe he has at least another son. Can any one help us find him please. I am trying to find Rita Viksne, who may well have remarried after her husband Atis died in January 76 in a drowning accident on the Caloundra Bar. I would have loved to stay in contact but lost her address when she moved back to Melbourne. I think her name before she married was Rita Bachman. Am not sure about that but she had a brother in a band who’s surname was Bachman. Rita and Atis had a son, Otis. This is so long ago but I regret very much having lost touch with her.